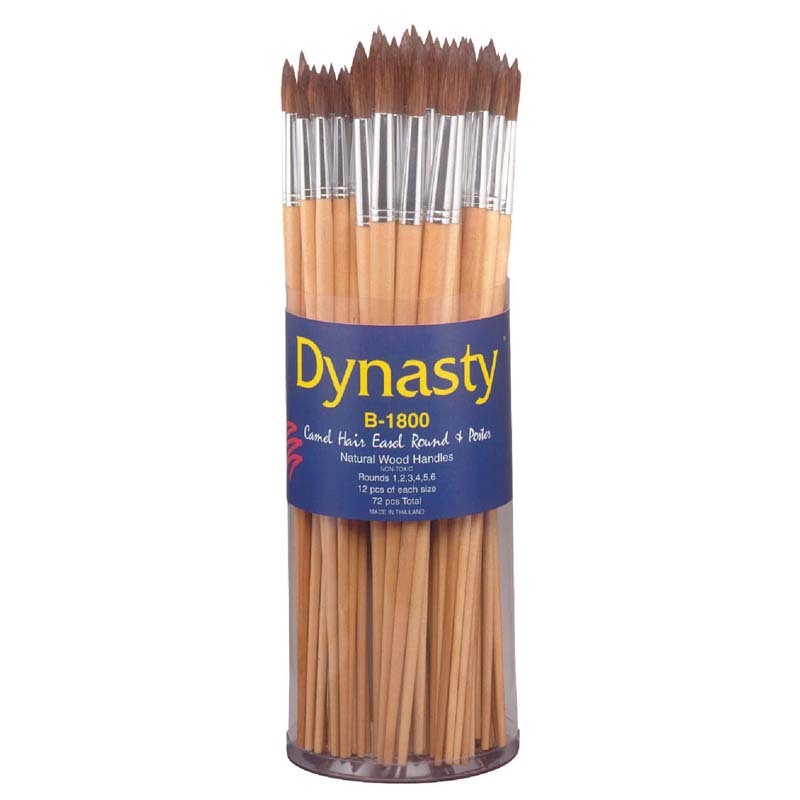 Budget Friendly Short white birch handle, bristle brush assortment are for use with acrylics and tempera. Each set includes 72 pieces, 12 each of flat 2, 4, and 6, and round 1, 3, and 5. 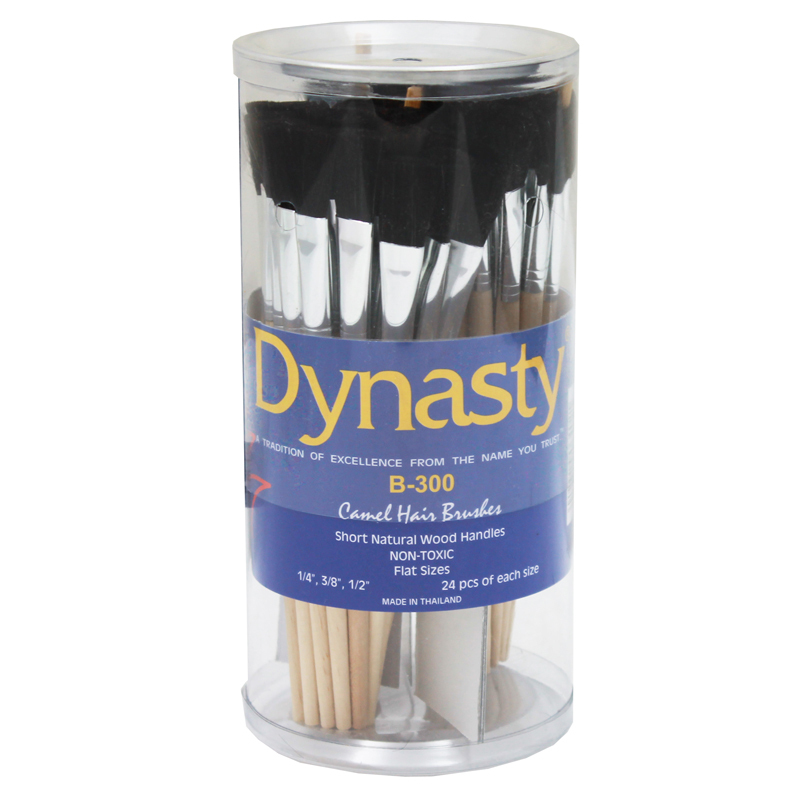 The B200 White Bristle Brushes Asst72 Pc can be found in our Paint Brushes product category within the Arts & Crafts. 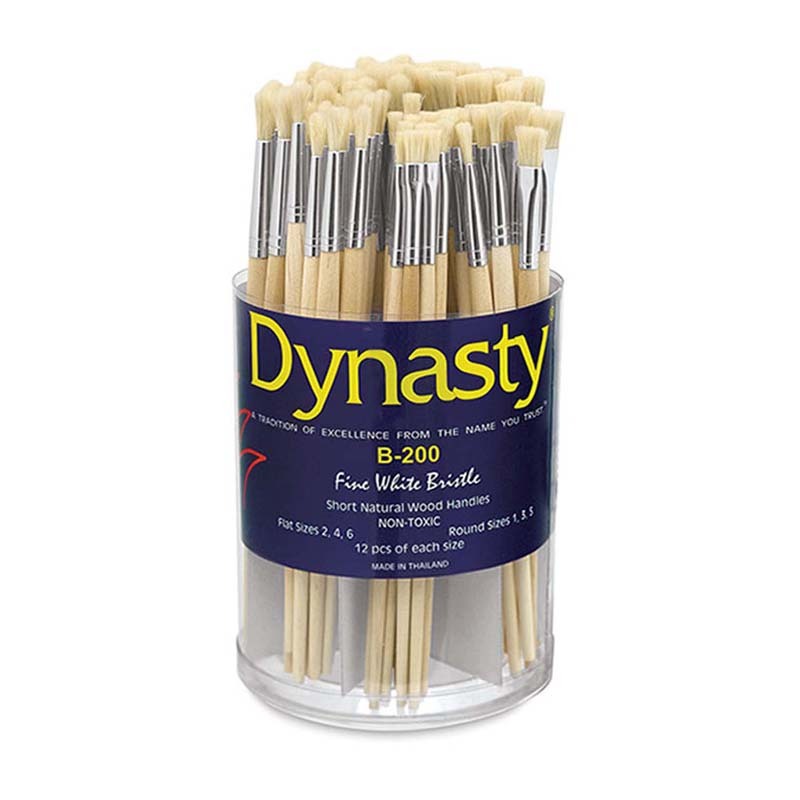 Good quality, pure white bristle brushes for use with many mediums - including poster paints and temperas. Shed proof design with seamless aluminum ferrules and short enameled wooden handles. 72-piece set consists of plastic storage canister that contains 12 each of Round sizes 1, 3 and 5; Flats sizes 2, 4 and 6. Good Quality At Value Price. Assorted sizes. Convenient storage container.